Looking down from the Stateline Overlook at Breaks Park. In this picture you are literally looking into Kentucky. 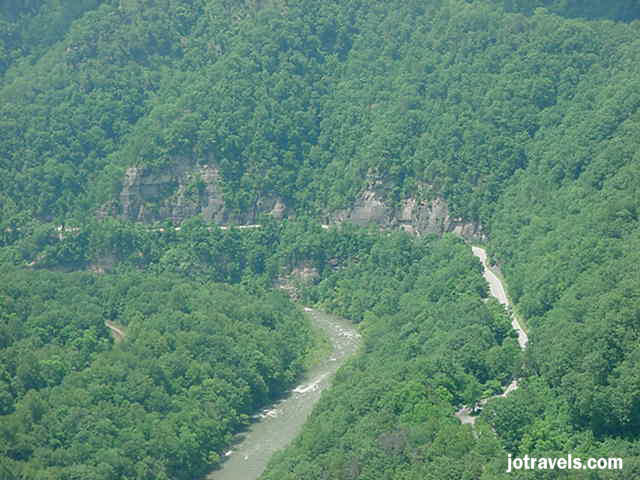 The road that is seen right above the river is Kentucky Rt. 80. Right where it turns is the small memorial grave for the unknown Civil War soldier.